I am a freelance illustrator and sequential artist. I will be graduating from the Milwaukee Institute of Art and Design this May. 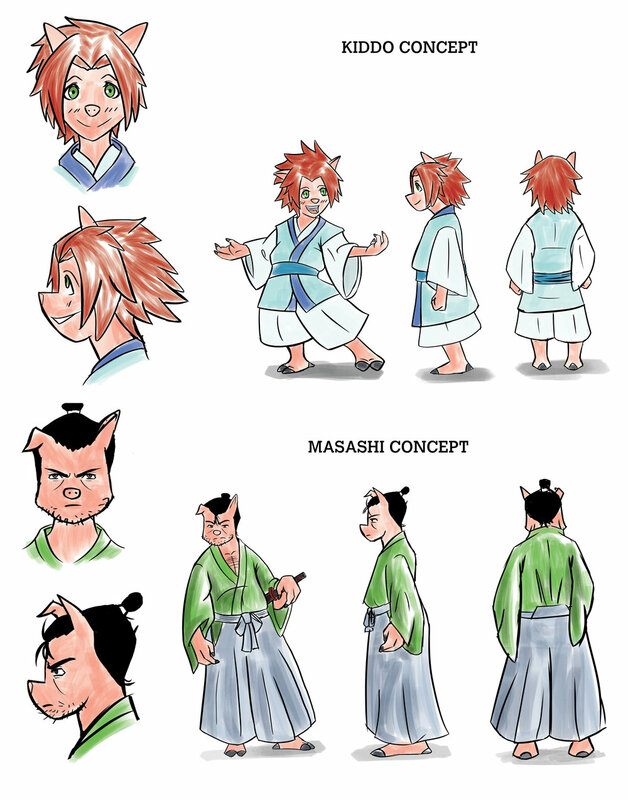 For my senior Thesis I created several comic books and illustrations that is based off Japanese Samurai. The comics feature bacon like weapons and pig puns. This took about roughly a year to complete. 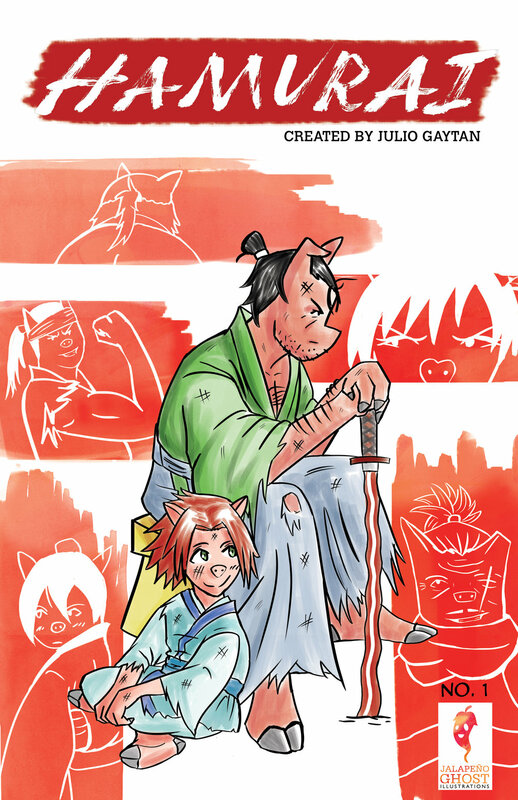 Hamurai is set in a fictional Feudal Japan inhabited by humanoid pigs some who are capable of wielding bacon like swords, like a bacon katana or Bacotana. The first few chapters introduce the main characters and how they became one big semi-functional Hamily.